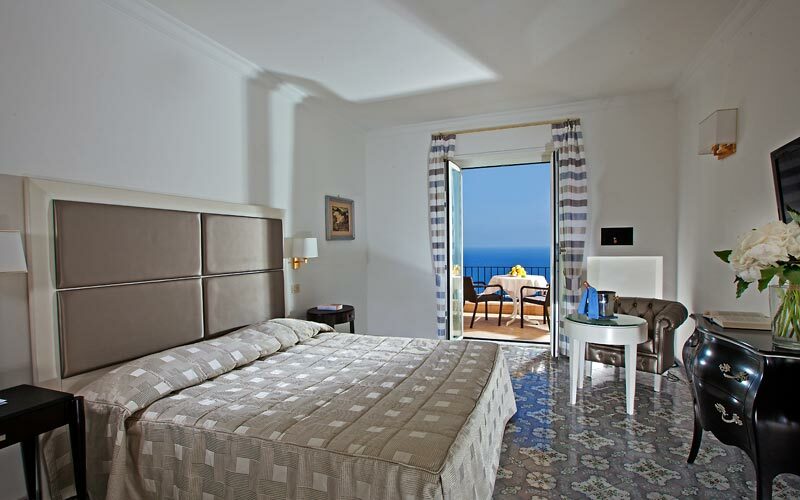 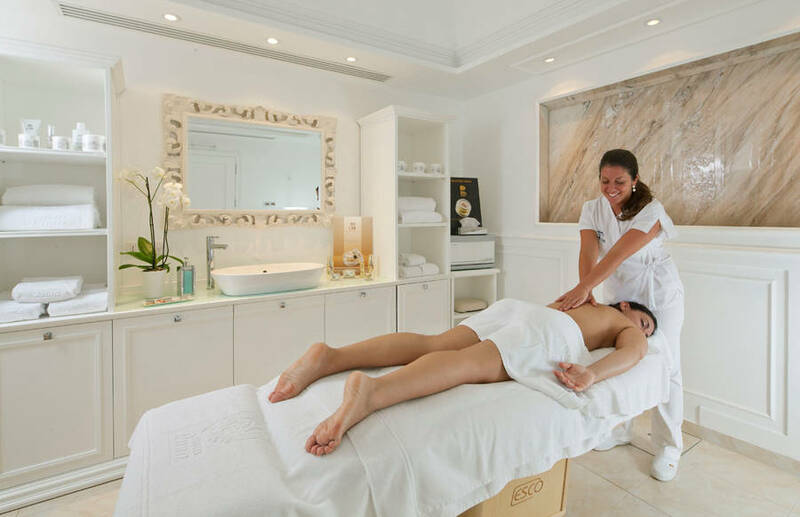 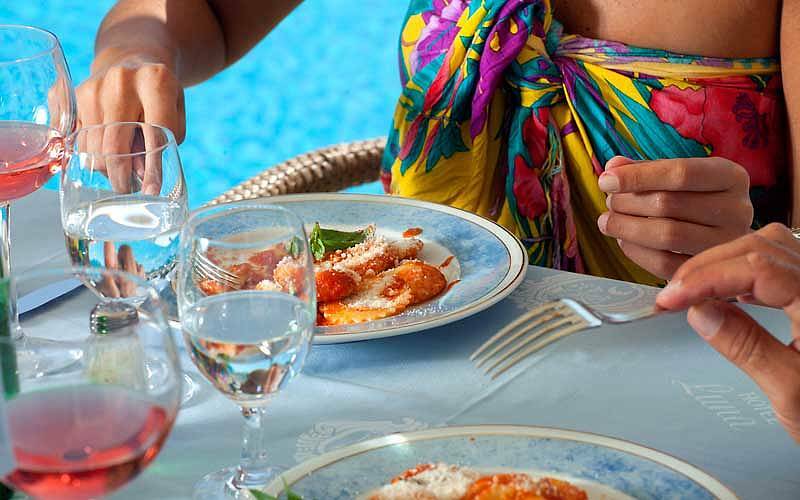 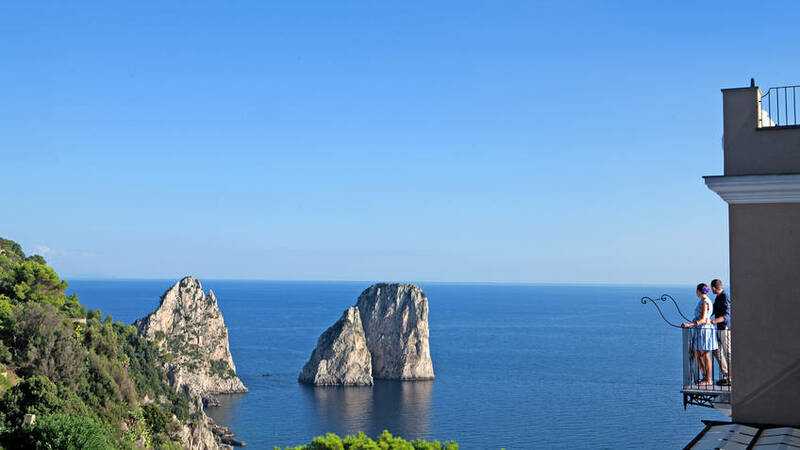 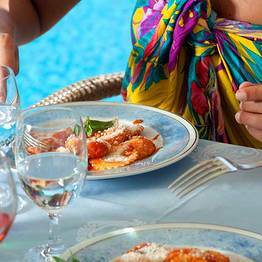 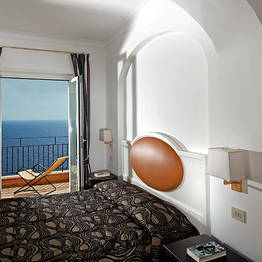 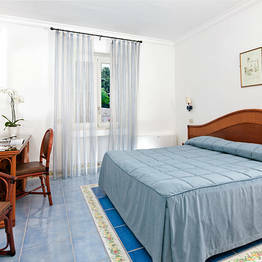 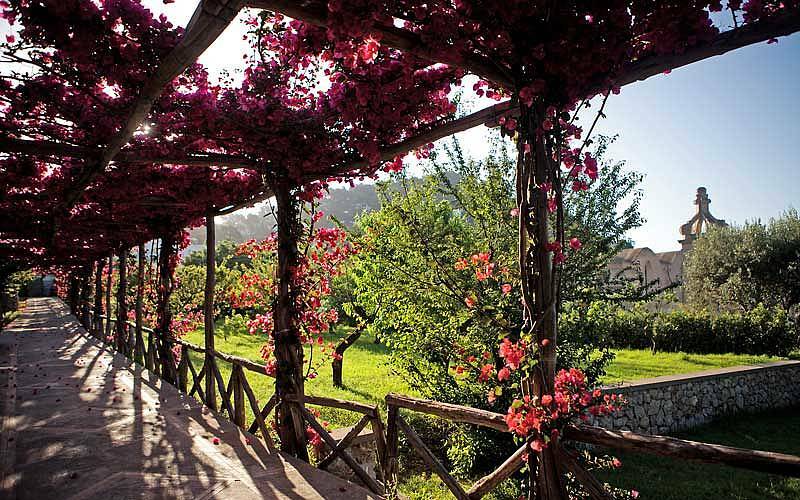 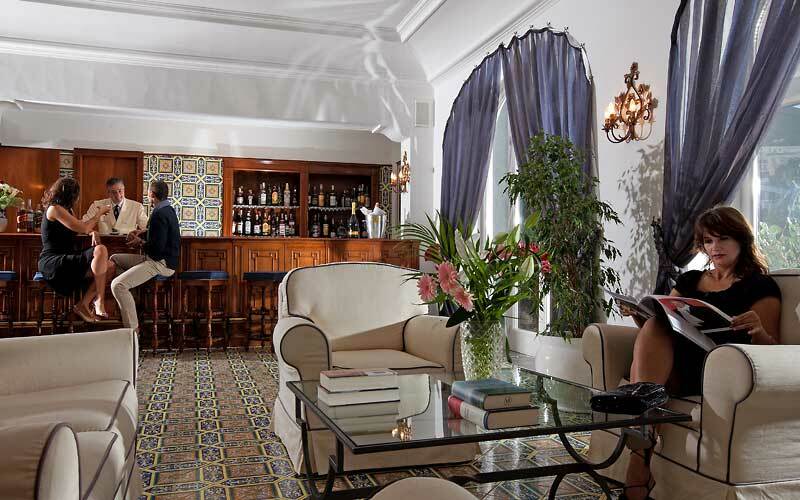 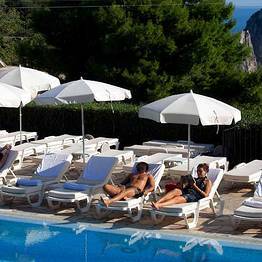 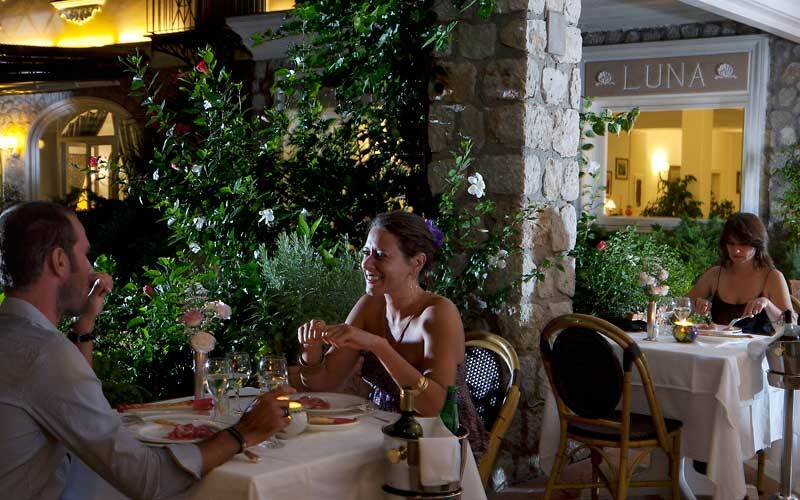 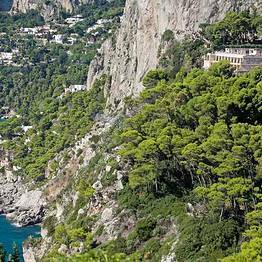 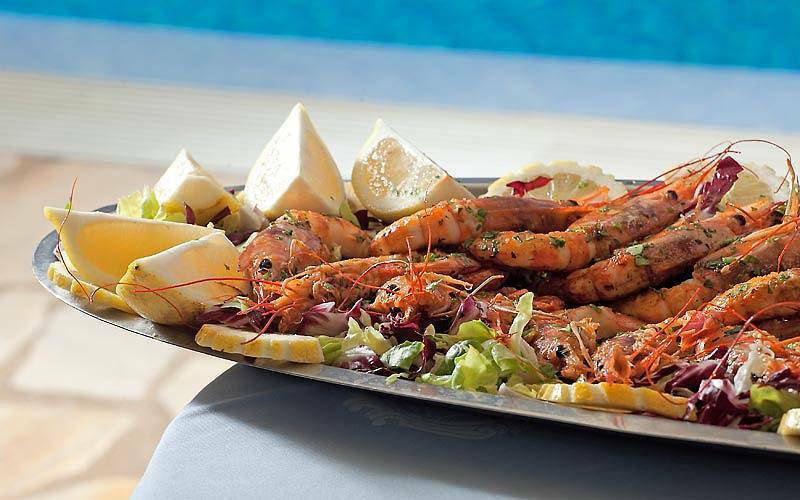 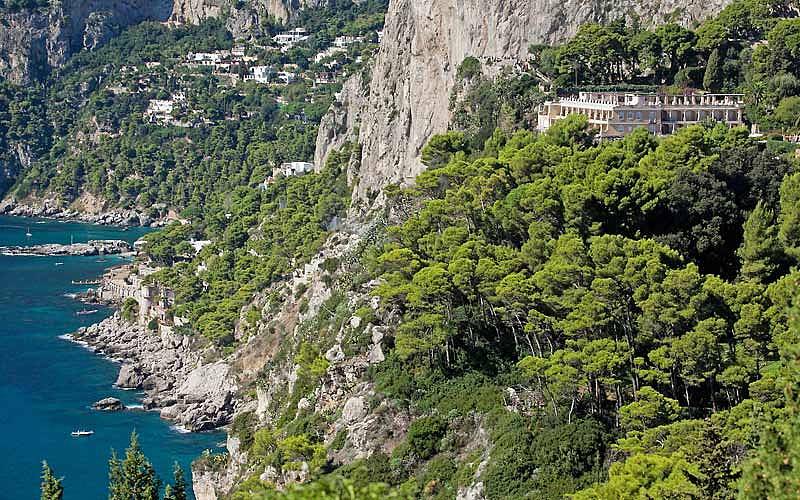 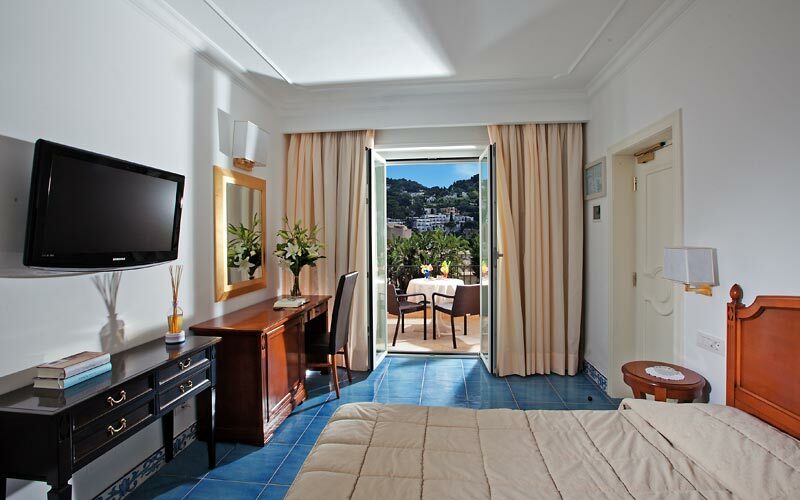 Hotel Luna Capri: 3 reasons to book here | Capri Booking. 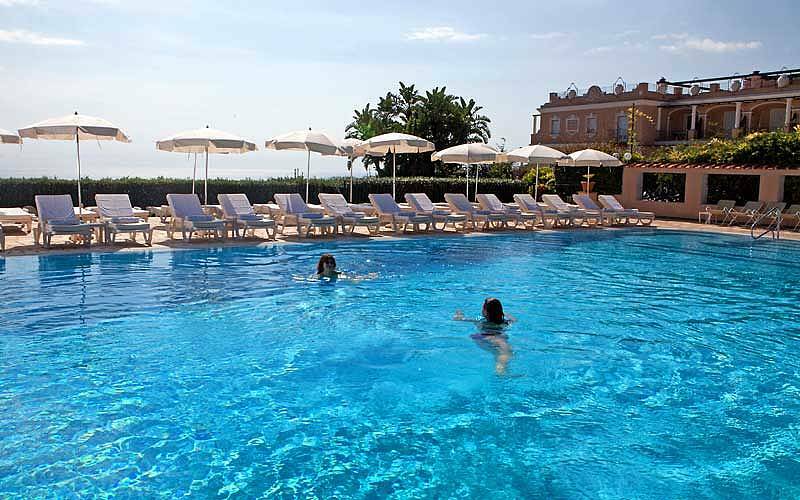 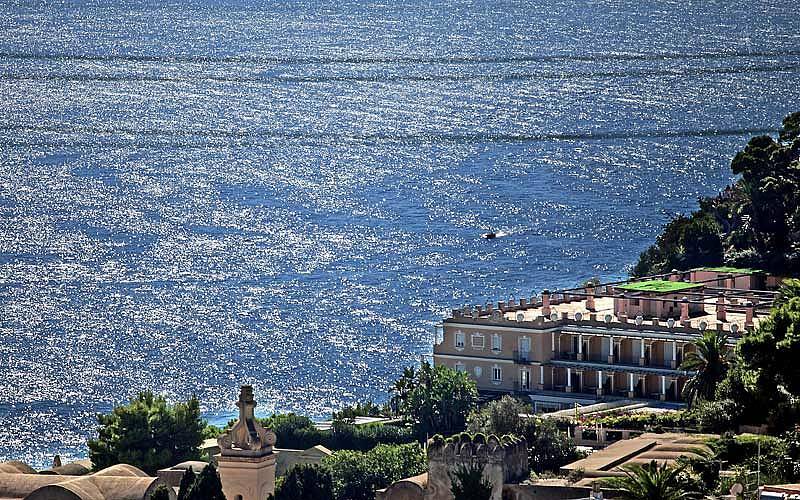 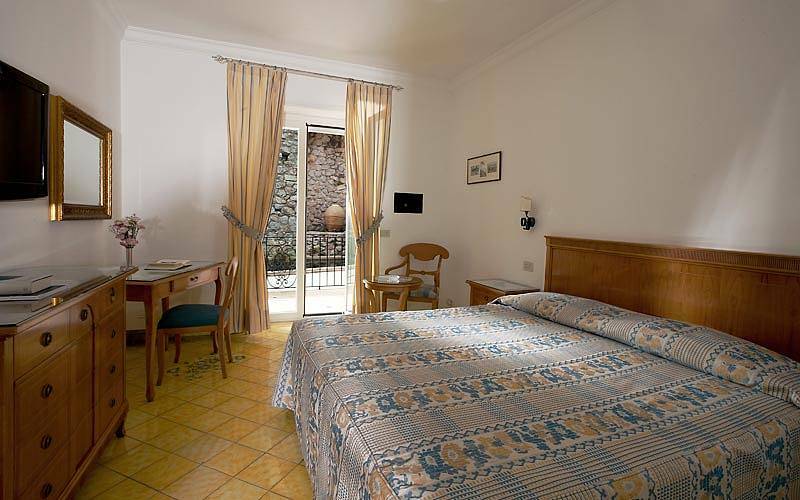 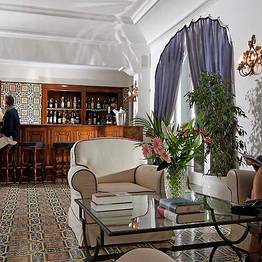 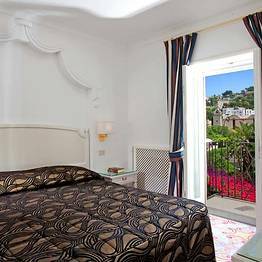 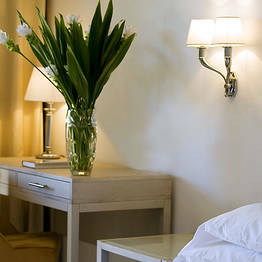 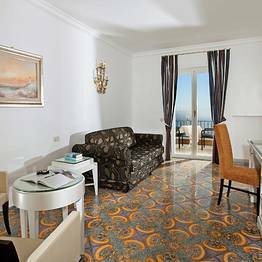 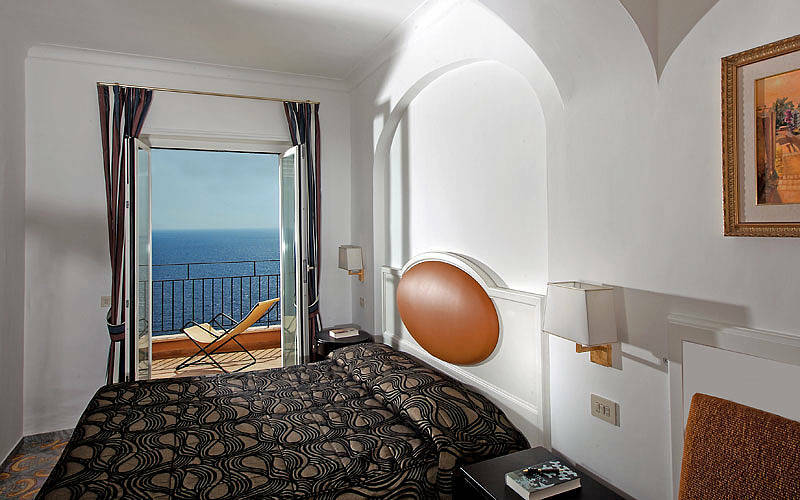 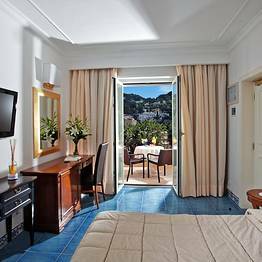 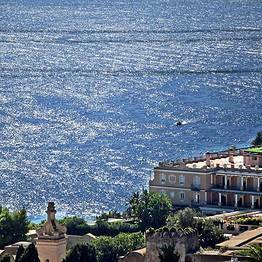 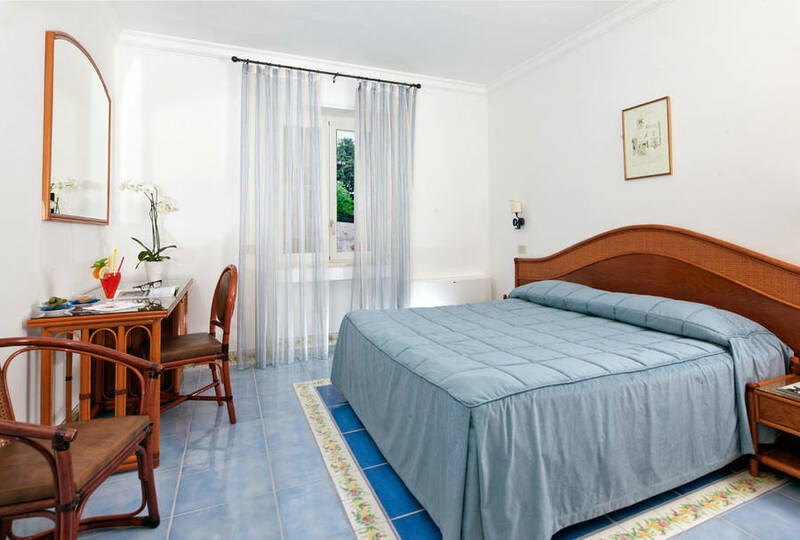 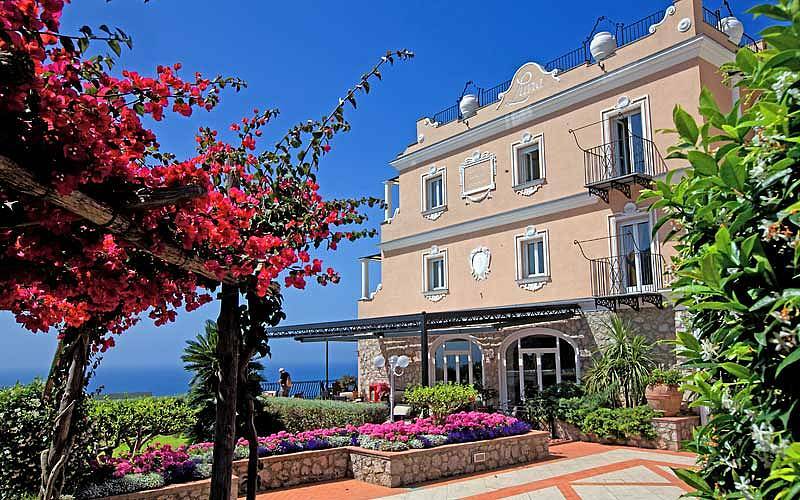 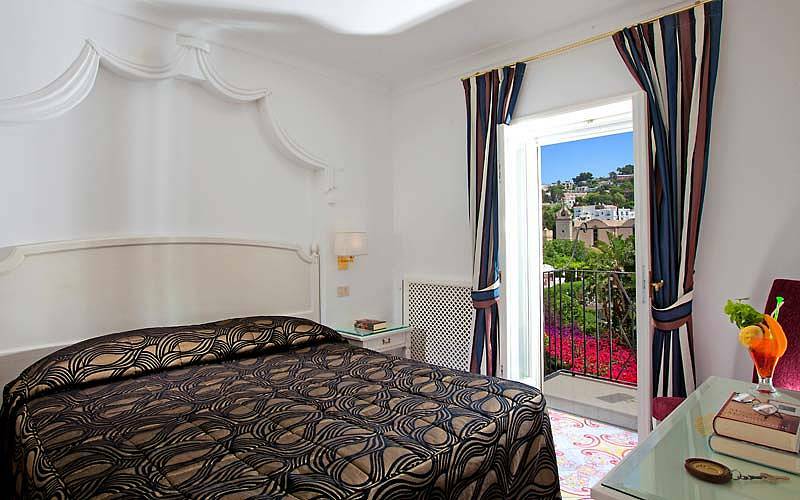 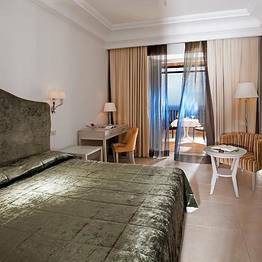 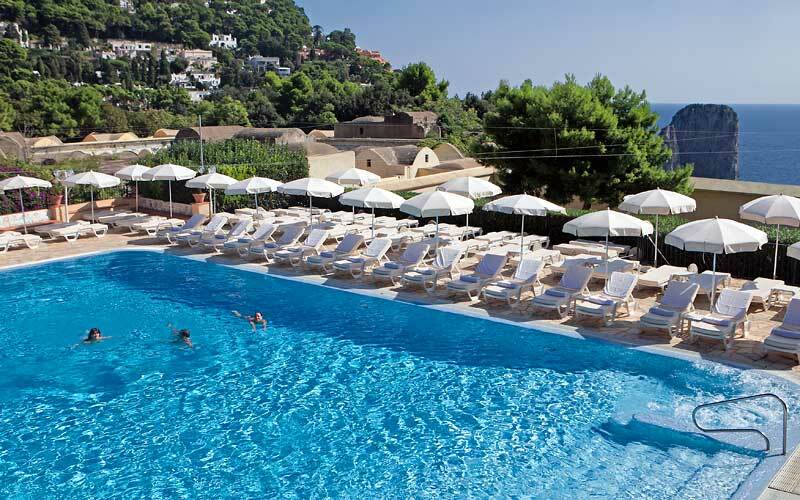 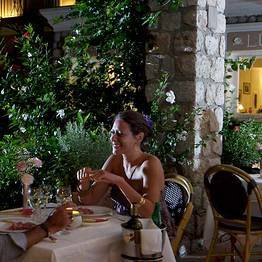 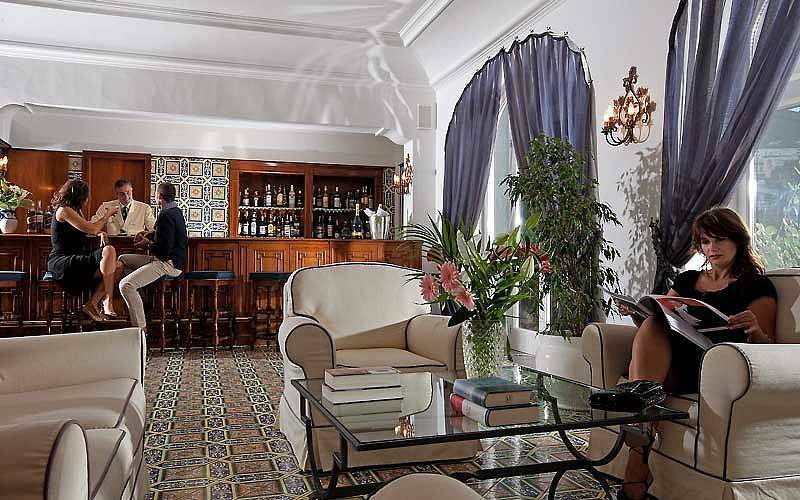 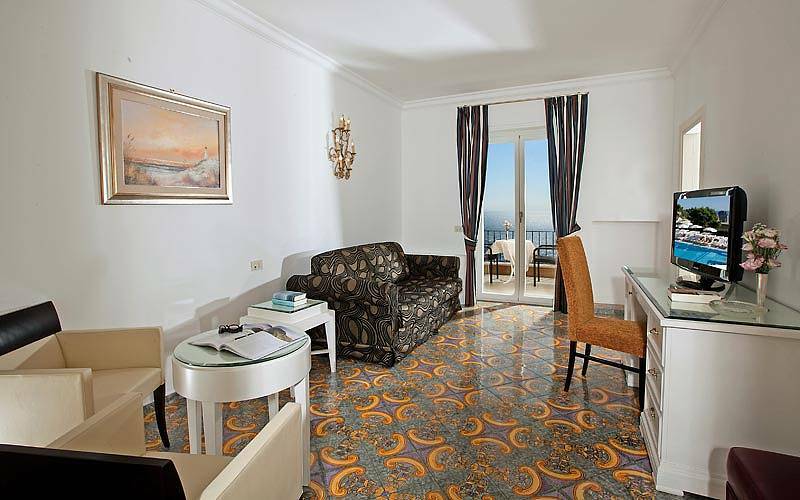 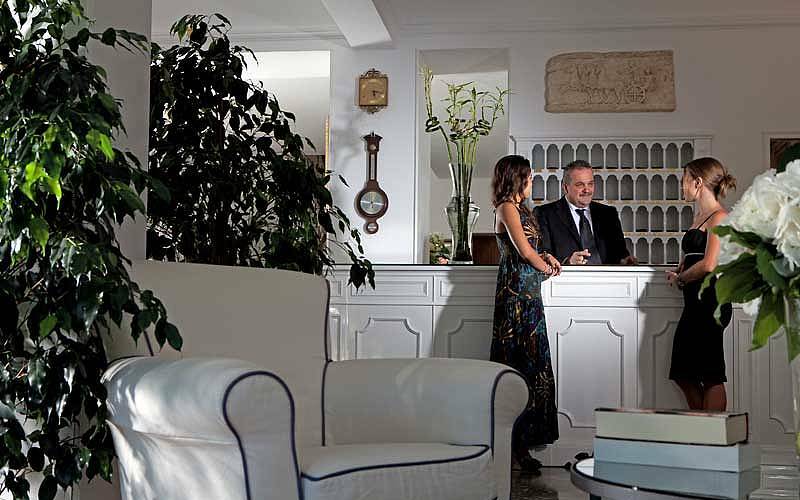 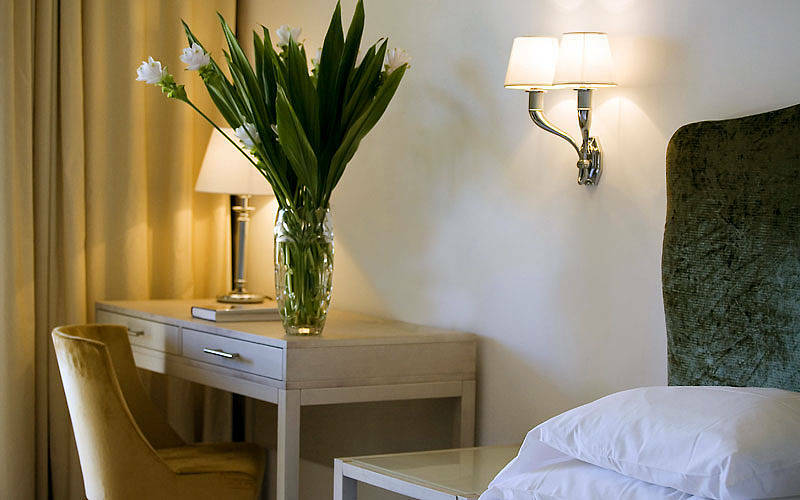 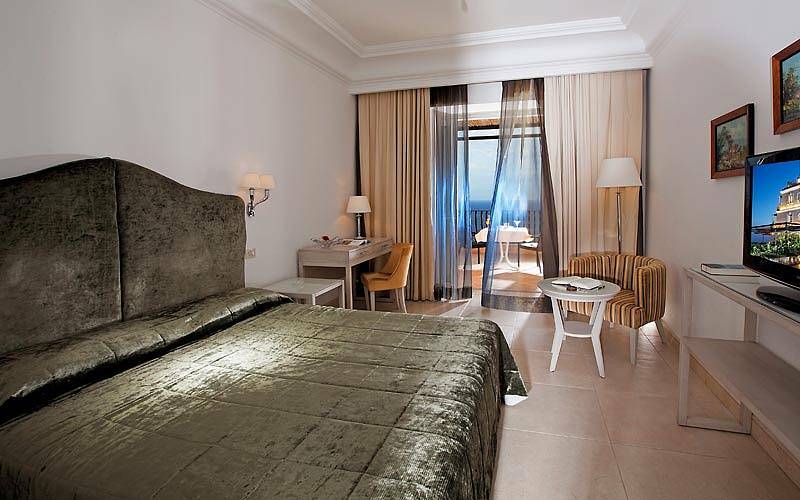 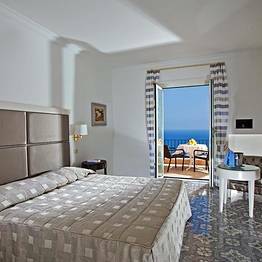 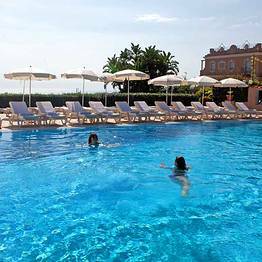 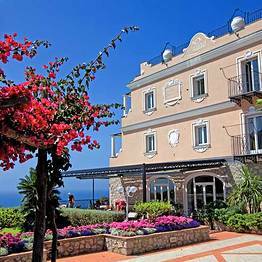 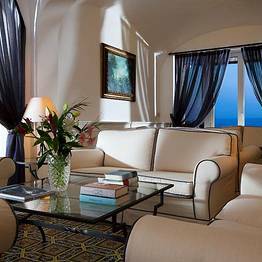 Set in splendid sea view gardens, between the Charterhouse of San Giacomo and the Gardens of Augustus, Hotel Luna enjoys one of the most enchanting locations in the whole of Capri. 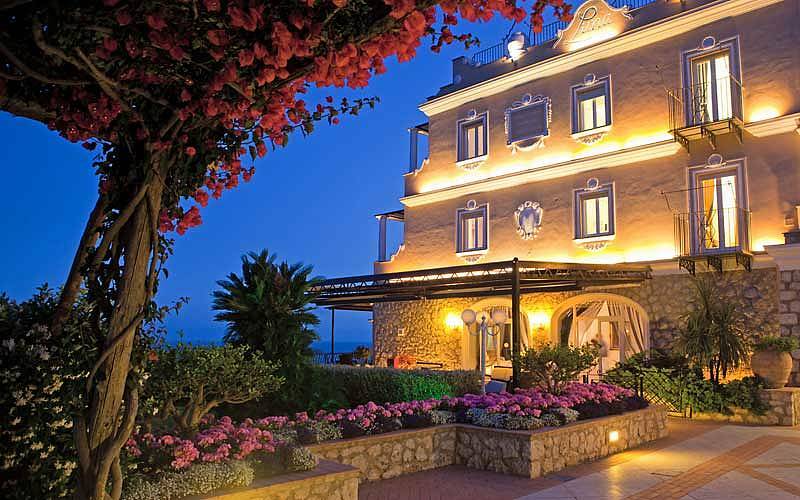 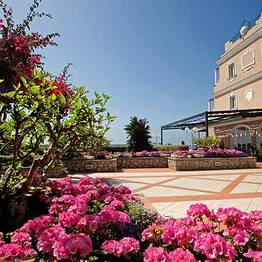 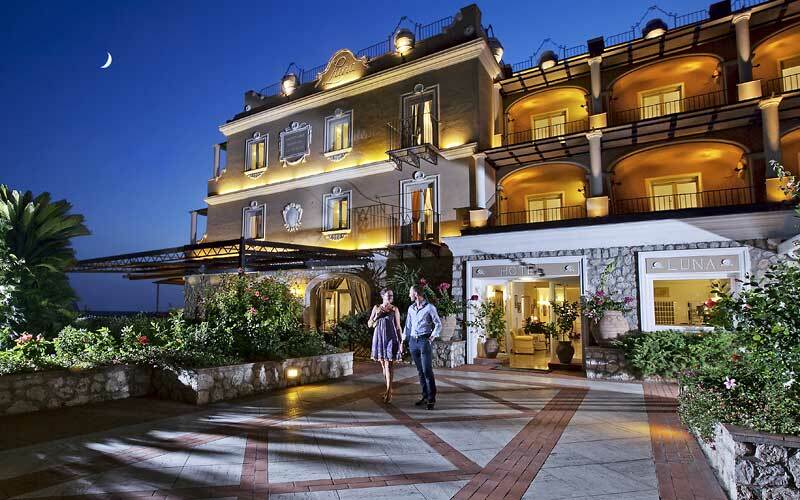 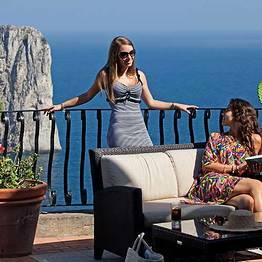 It is hard to believe that this peaceful 4 star hotel overlooking the Faraglioni rocks, lies only minutes away from the island's glamorous designer fashion boutiques and the celebrity-packed Piazzetta. 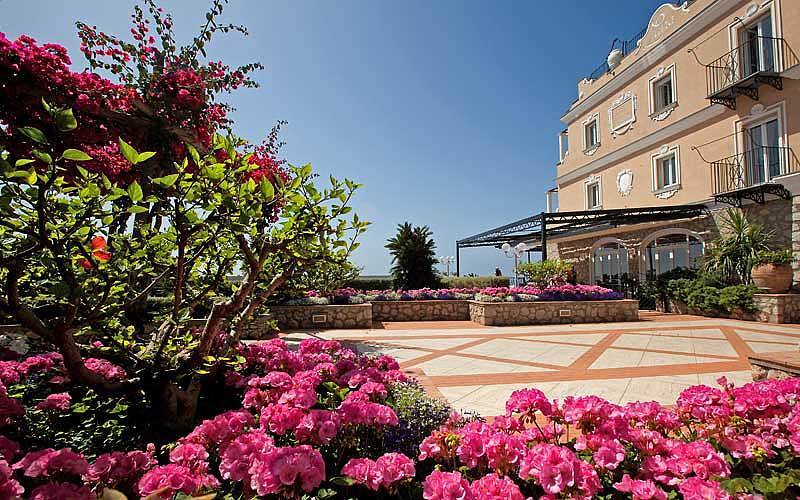 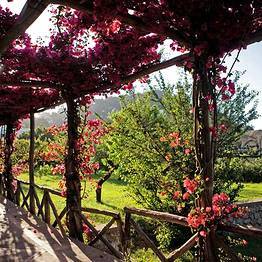 The Faraglioni, the Charterhouse, Monte Tuoro: choose your view! 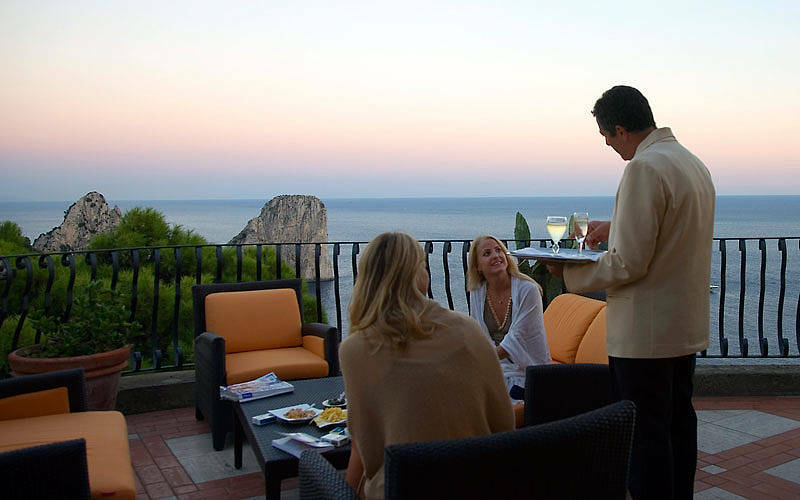 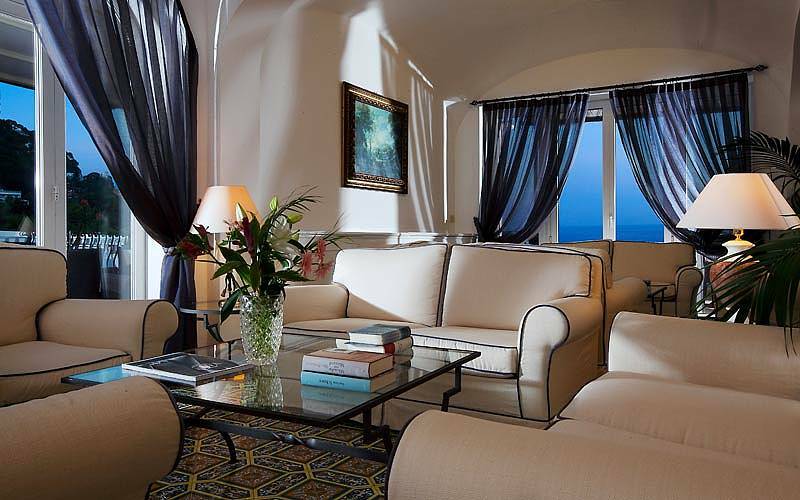 Stay in one of Hotel Luna's elegant suites or deluxe bedrooms and each evening, from the comfort of your sea view terrace, you'll be treated to the unforgettable sight of the sun setting over the Faraglioni rocks. 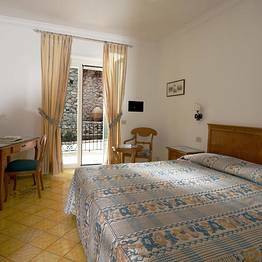 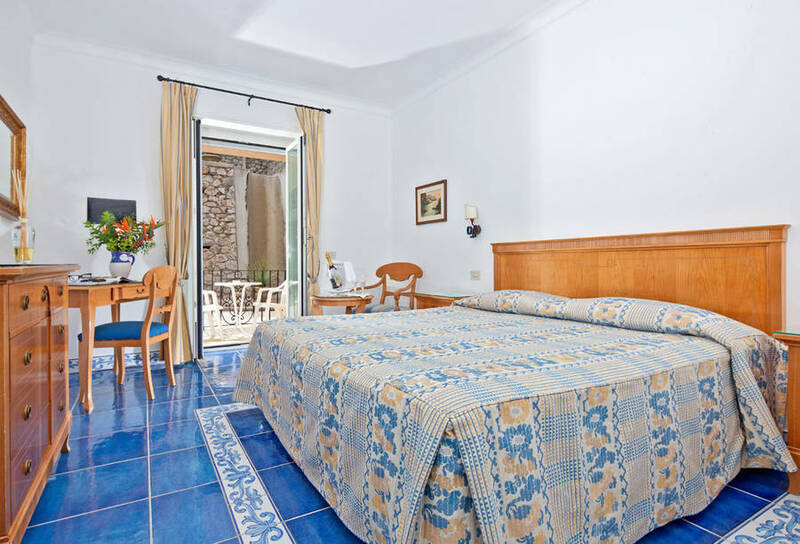 Equally enchanting views, of the 14th Century Charterhouse, Monte Tuoro or the pretty internal courtyard, can be seen from the windows and balconies of the superior and standard bedrooms. 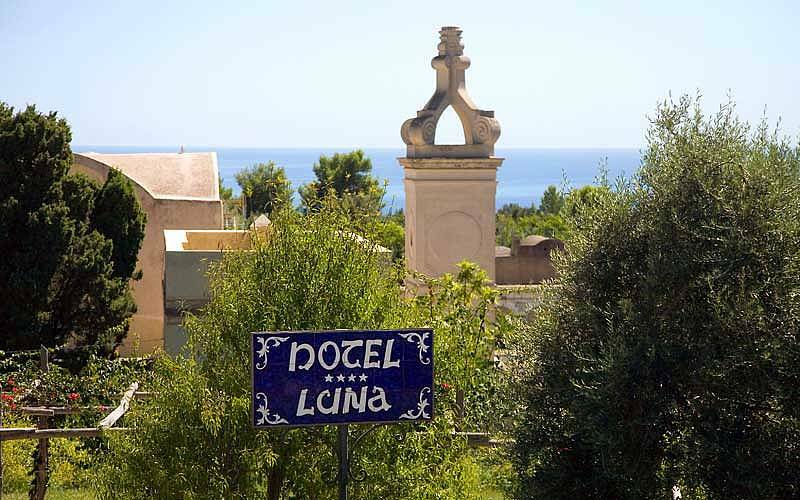 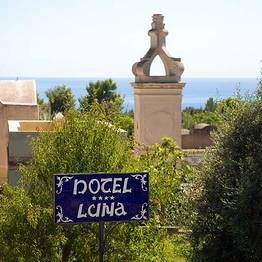 The days pass wonderfully slowly at Hotel Luna, between a dip in the sea view swimming pool, a session in the open air gym corner, and a light lunch at the poolside bar. 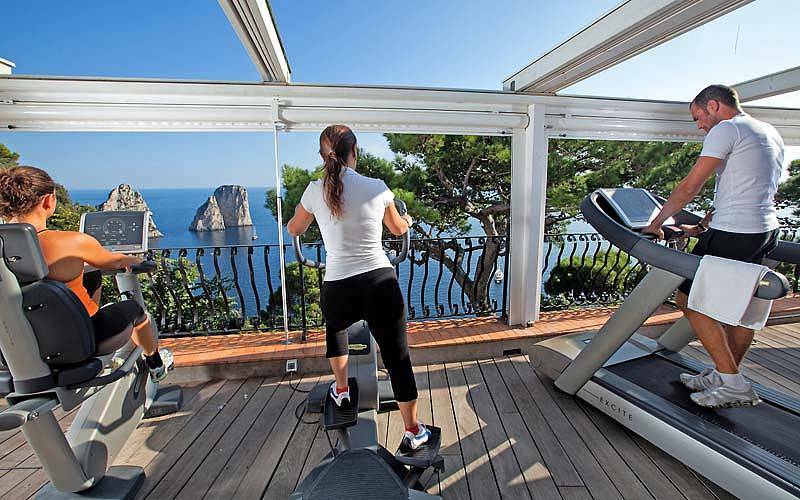 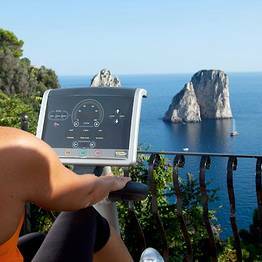 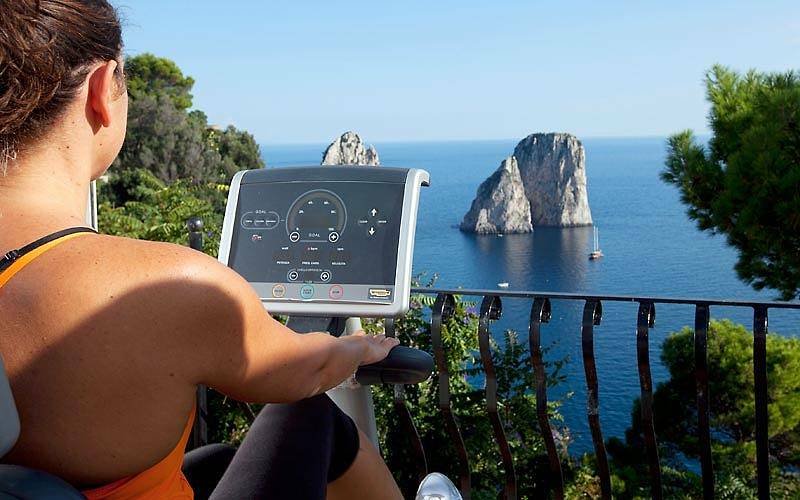 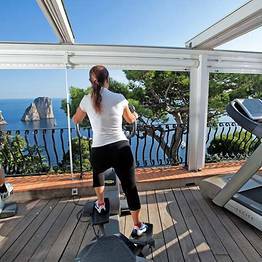 At Hotel Luna, deluxe rooms, suites, terraces and even the outdoor gym all enjoy unforgettable views of Capri's magnificent Faraglioni rocks! 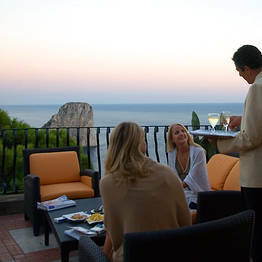 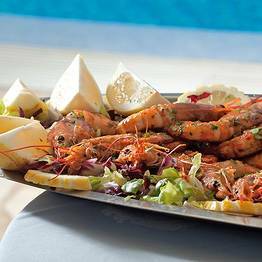 On the warm summer evenings, you'll want to dine on the terrace of the hotel's highly acclaimed Restaurant Luna, savoring delicious island cuisine, accompanied by a fine selection of regional wines.